Ice-bergs drift around the Southern Ocean carried by the currents and blown by the winds. In the winter the sea-ice freezes around them and effectively glues them in place until the spring when the ice breaks up and they can begin to move again. During this frozen-in time, it is possible to travel out across the sea-ice and walk right up to the bergs. 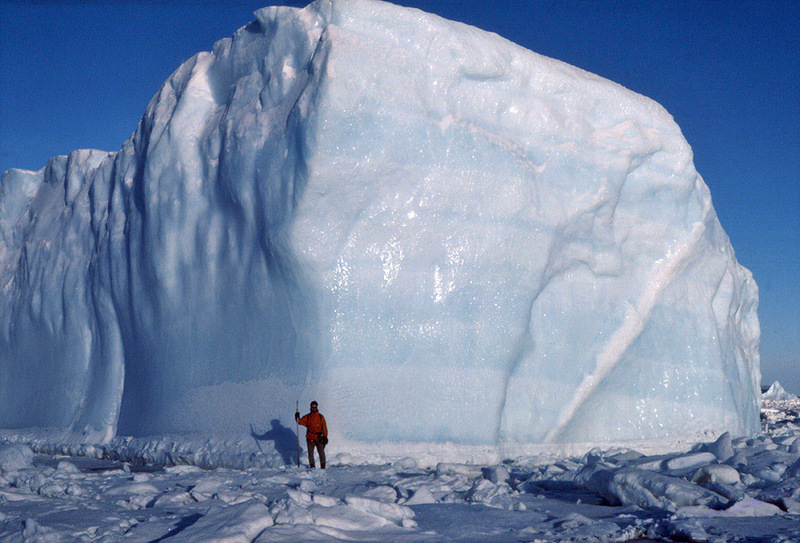 This guy in the picture has an almost identical picture to this - with me in front of the berg though.